The Organ Works Published During His Lifetime. Composed by Leon Boellmann (1862-1897). Edited by Helga Schauerte. This edition: urtext edition. Paperback. Leon Boellmann. 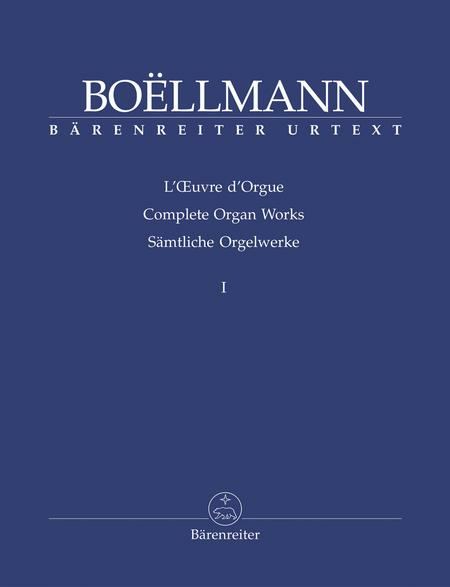 Complete Organ Works I \| BARENREITER URTEXT. Classical Period. Organ solo book. 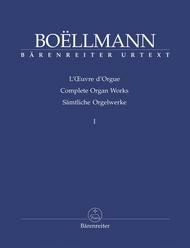 With organ notation, introductory text and manuscript facsimiles. 104 pages. Baerenreiter Verlag #BA08424. Published by Baerenreiter Verlag (BA.BA08424). ISBN 9790006506873. 9x12 inches. Preface: Helga Schauerte-Maubouet.
. The music is melodic, “modern” and not all that difficult to play, though some pieces are more challenging than others. As usual, Barenreiter does a great job with their volume and the music is presented clearly and cleanly. If you’re into 19th-century French organ music, along with composers like Cesar Franck, this is the book for you!